Click the "4-35 Student eTool (Desmos)" link below. 1. Kaci loves cheese and buys it whenever she can. Recently, she bought 5 pounds of mozzarella cheese for $15.00 and 3 pounds of havarti for $7.50. Explore the answers to the questions in 4-35 using this tool. If desired, all answers including your thoughts can be recorded and saved with this tool. 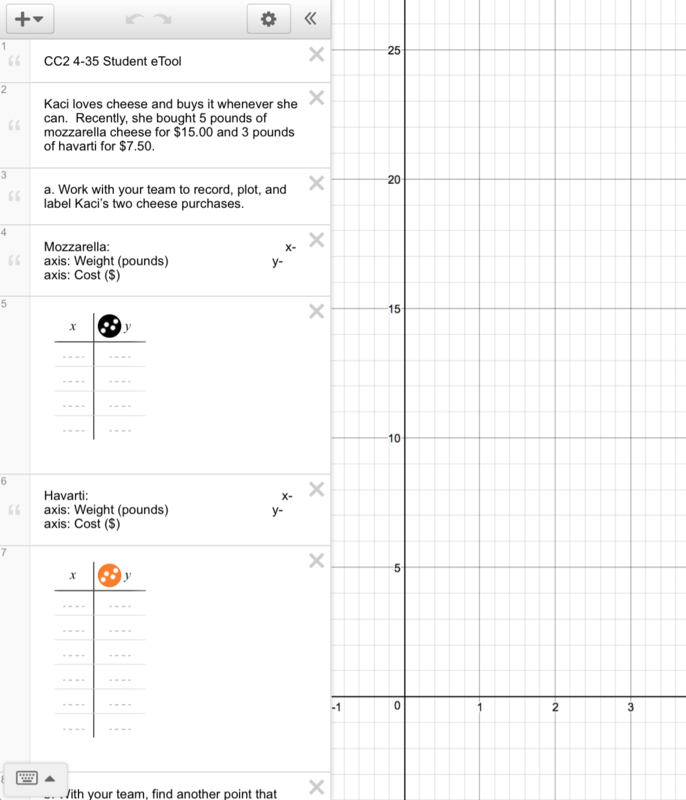 Note: You need a Desmos free account to save your work.